I don’t usually use the ‘artistic’ settings on my little compact, but didn’t notice the dial had moved till I’d taken the shot. Instead of trying for a more natural shot later, I used a Photoshop watercolour filter and rather liked the effect. 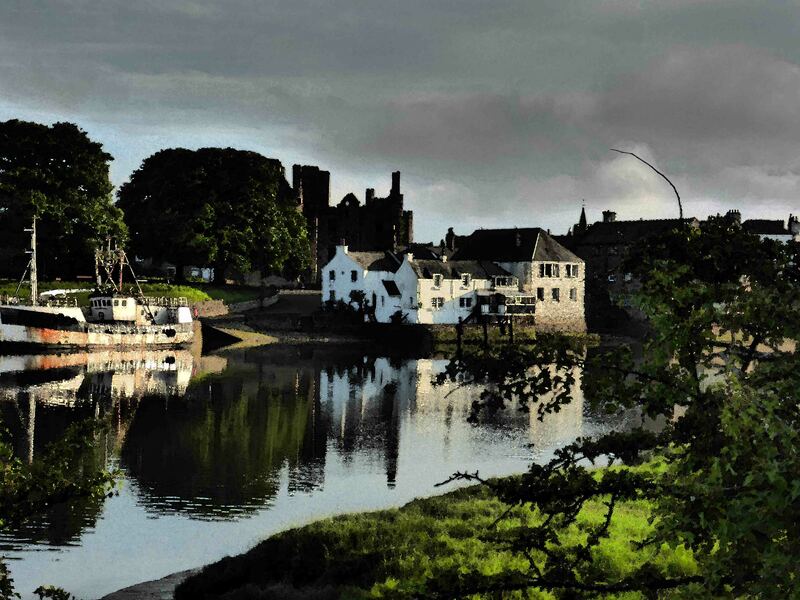 It’s the Dee at Kirkcudbright, with MacLellan’s Castle in the background. This entry was posted in David Harley, photographs, Scotland. Bookmark the permalink.